One of the advantages of returning to first-team action towards the end of the campaign is that the matches can be less competitive. 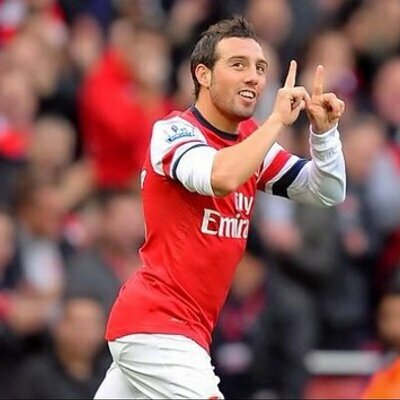 It is highly unlikely thatCazorla will be part of Arsenal setup in the upcoming Europa League game against Atletico Madrid. The Spaniard is desperate to come back into the first-team and approved to Arsenal that he is capable of playing regularly. It is important considering that his current contract runs out in the summer. “I’ve still got some way to go, because after being sidelined for 18 months, everything has to be done in its own time. But the sensations I have keep getting better and I’m feeling optimistic about the future. The objective is to play some part with the team before the season ends, but we have to take things carefully.After being out for so long it will take a while to get back into form, it’s a real struggle,” said the Spaniard. Previous Post - Previous post: Is Fellaini the Answer?